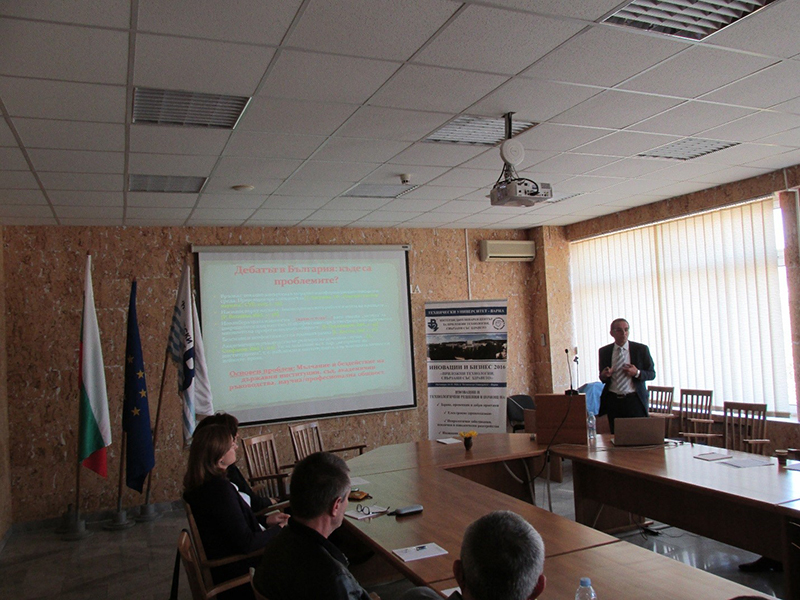 Prof. Dobromir Presiyanov from Sofia University, Bulgaria was invited for to give a speech in the dedicated seminar on plagiarism in the academic environment, research ethics and copyrights. It was performed within the framework of a large forum “Innovations and Business – 2016” organized at the Technical University of Varna, during the period 14-15 October 2016. Every year, October is dedicated and considered as a “Month of the Science and Research Activities”, and several relevant events and activities are organized at the Technical University of Varna. This was the most appropriate time for organizing such a seminar on plagiarism, for the purposes of raising the scientific community awareness on the consequences from such unpleasant practices and inform them on the different ways for protection of the intellectual properties. The talk was entitled “So we need public visibility of the proofs for the plagiarism in the research”. The emphasis of the presentation was given on the Intellectual Property and the protection of the Intellectual Properties. 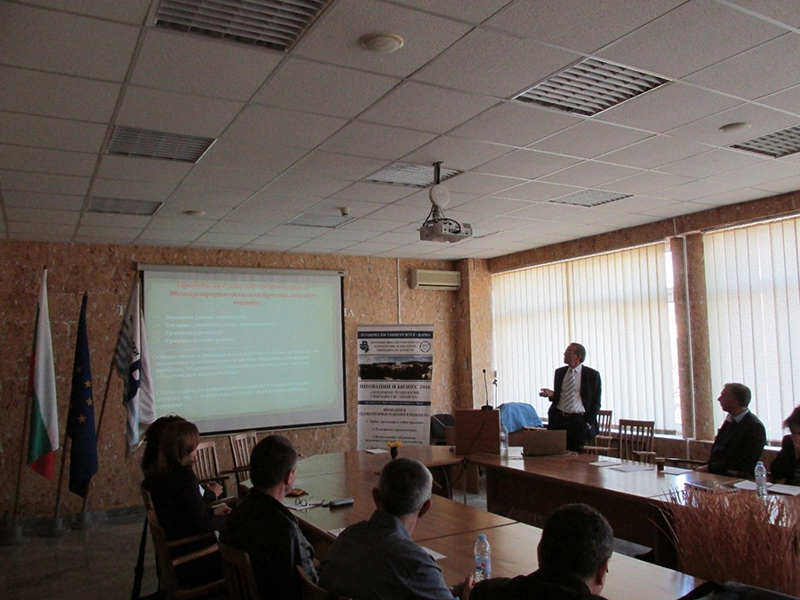 Prof. Presiyanov reviewed the necessary tools and mechanisms needed to indicate and prove the plagiarism. 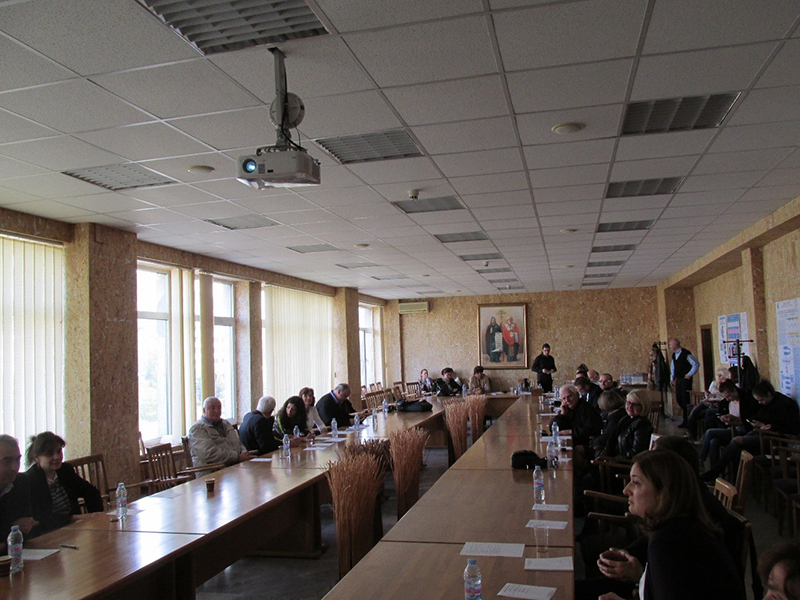 Definitely, the dedicated seminar on plagiarism in the academic environment, research ethics and copyrights was considered extremely useful for the scientific community of the Technical University of Varna. The seminar contributed to the increase of the public awareness on the consequences of the plagiarism in the research activities, as well as, what is our duty and how we should react in case we obtain clues about cases of plagiarism. With this opportunity he gave also another speech on Radon measurements at home conditions. Focus was given on how to measure it without any specifically dedicated devices, rather than using ordinary CD-ROMs, which are available in each house. The event was organized in collaboration with local industry in order to realize the method for measurements and evaluation of the radon. This was an example of good practice of collaboration between university and industry, accomplished with in an EU funded project.